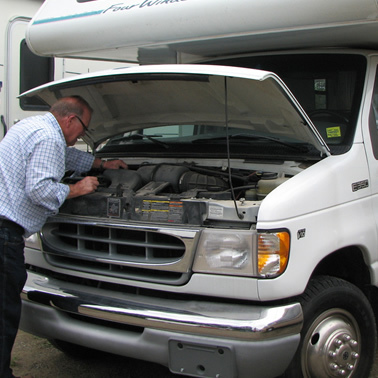 Unlike our neighbours to the south, Canadian full-time RVers must have a physical home base or a legal physical address for at least six months of the year. Each province has different guidelines, so be sure to check with your home province to ensure you are compliant. In order for us to have a driver’s licence and medical insurance, we must be able to prove where we live. That’s sometimes extremely difficult for full-time RVers who are living on a budget and may have sold their home to purchase the RV. What options are available to them? The first option is to be able to keep your home and rent it or a portion of it out. You still have your investment, a home address and a place to come back to if you decide full-timing is not for you or you are no longer able to live the RV lifestyle. Having a condo or apartment as your home base gives you a place to stay and also provides a place to store those items you can’t part with. It may even be just a studio apartment, but it meets the legal criteria. 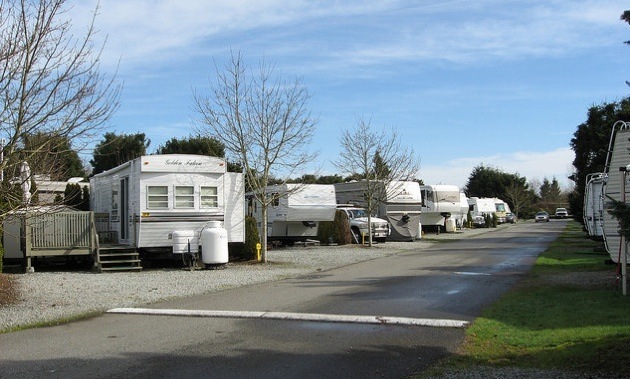 There are RV developments available where you can own an RV lot, pay a monthly strata fee and park your RV either permanently or temporarily on your site. The benefit to this is a lower cost than owning a house or condo and a place to park your RV whenever you choose. There are some areas of the country where you can only live on the lot six months of the year, but so far I have only found this to be the case on Vancouver Island. Another benefit to this option is that when you decide you are no longer able to RV full-time, it’s possible to place a park model on the site and live in the same environment. If a family member or friend has a room or suite available, it’s possible to rent it from them—which gives you an address and may cost substantially less than other options. 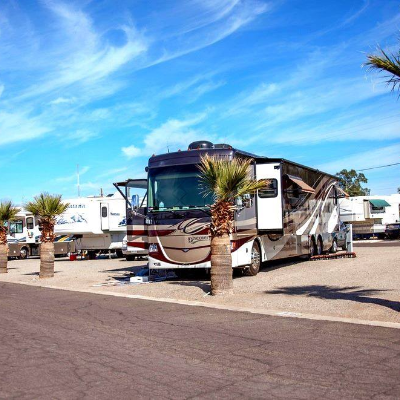 There are RV parks available where you can rent a space year-round or have the availability of knowing there is a spot waiting for you when you come north in the spring. They may also hold your mail and charge a very nominal fee for their services. You won’t have to pay for the site except when you are using it. It’s important to be able to prove your residency by having receipts or documents indicating you are responsible for paying the bills for your home base. This may include a receipt for your utilities, mortgage or rent. It’s not just for your driver’s licence and medical that this is important—you may be asked at the border for proof of residency, so be prepared and have these with you. Your physical address and your mailing address do not need to be the same. This is important to remember if you are having difficulty finding someone to collect your mail. Having a post office box is OK and it’s possible to make arrangements to have your mail held and forwarded as you wish. There will be a fee for this, but it’s worth it. Postal outlets in shopping centres or drugstores provide this service. It’s really difficult to get around the legalities of having a home base, but by being a bit creative it is possible and doesn’t have to cost a fortune. It’s important to protect yourself by having a home base to keep your medical insurance and driver’s licence current. Those who really want to become full-timers create a way to make it work and have a legal home base that no one will question. Longing for a new RV but can’t afford it? If the price tags on those shiny new RVs take your breath away, it's time to look past cosmetic concerns and choose a good pre-owned unit. 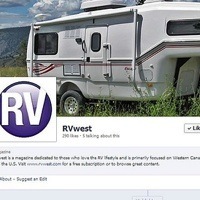 Many RVers use Facebook as a means to keep in touch with their families while on the road.